Tour guide Alvise Marangon thinks he knows Venice better than ever, but now finds himself ensnared by mysteries as obscure as the city and in many cases just as old. 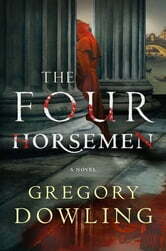 Certain that he is finally about to have his guide’s license revoked after a tavern brawl, Alvise is instead dragooned into the service of Missier Grande, who has linked the death of one of his agents to a secret society known as the Four Horsemen. Every attempt that Missier Grande makes to investigate the matter is blocked by forces on high, and enlisting Alvise is a move of last resort—one last-ditch effort to uncover the crimes of the present in the secrets of the past before the future claims more lives. 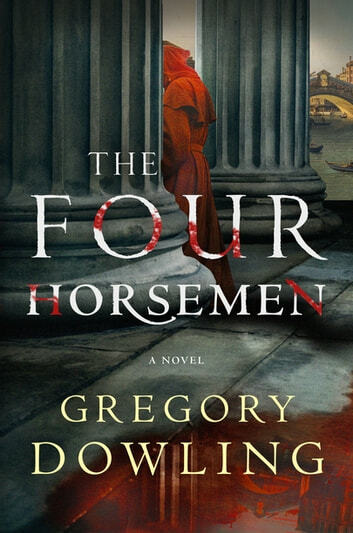 Among the dark arcades and fetid canals of 18th century Venice, Alvise is the one who finds himself led on a tour, at any turn of which could lie a fresh corpse or an ancient conspiracy.